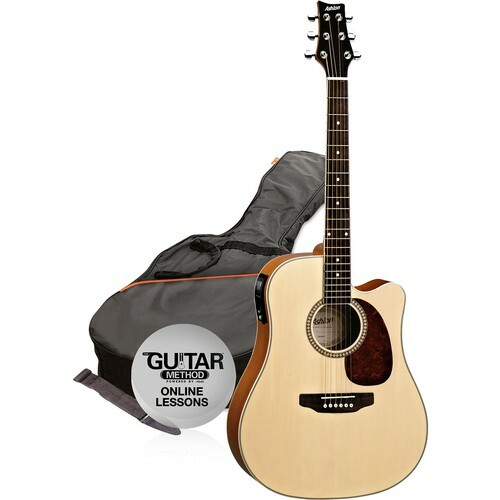 If versatility is what you're after then a D25CEQ acoustic/electric guitar is what you need. Suited to all levels of playing ability and a whole range of musical styles, it features a Spruce top, Mahogany neck and a great sounding pickup. It even comes with a built-in fully automatic tuner. Remarkable value for money, even before you consider all the extras!If versatility is what you're after then a D25CEQ acoustic/electric guitar is what you need. Suited to all levels of playing ability and a whole range of musical styles, it features a Spruce top, Mahogany neck and a great sounding pickup. It even comes with a built-in fully automatic tuner. Remarkable value for money, even before you consider all the extras!